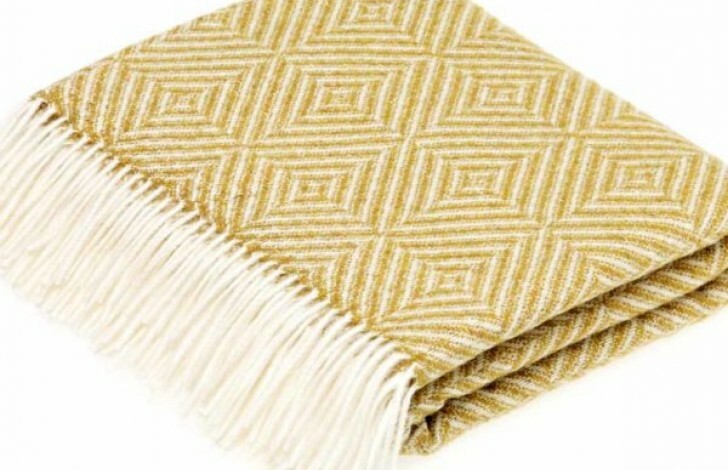 Our Vienna Throw is a stunning gold colour, with a distinctive diamond pattern. This throw is perfect for a contemporary setting, especially in spring as it can add light to a room with its bold colour. Made from 100% Pure Merino Lambswool to ensure maximum quality and softness.